This set of 7 STEM posters encourages students to dream, collaborate, and get involved in their learning experiences. Perfect messages for a work area or Maker Space. 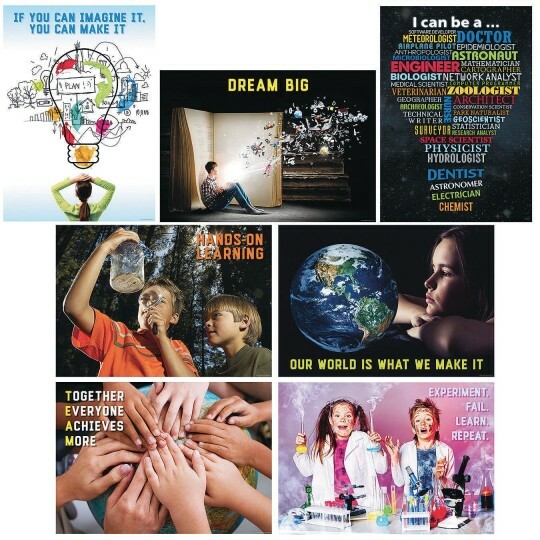 Each poster has captivating images and an inspiring message. Each measures 19" x 13".